Anxiety and depression can be really intimidating and scary. They can make you think of frightening things, catastrophize every single negative event, and worry about everything. Your thoughts become so real to you that your body starts living the trauma. Your heart rate goes up and your breathing becomes faster. Your chest tightens and you start feeling sick. The good news is that there’s a way for you to put an end to those thoughts. 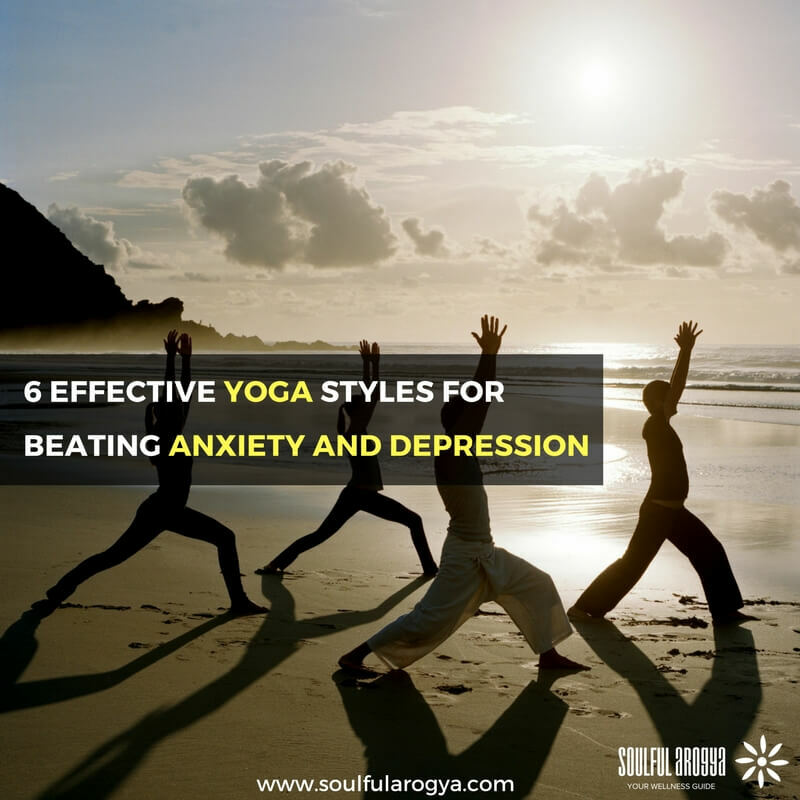 Now, to help you get started, here are the best yoga styles you can use to beat anxiety and depression. Para yoga is a powerful yoga style for enhancing one’s clarity and mental awareness. It’s a practice deeply rooted in poses, meditation, and locks. Practicing it regularly or whenever you are feeling anxious and depressed can help you recognize their symptoms early. And the earlier you recognize what you’re feeling, the earlier you’ll be able to address and overcome them. This, as a result, can help decrease the negative effects of anxiety and depression. Vini yoga is an effective therapeutic tool. It utilizes proper breathing techniques, different movements, and meditation to stimulate your the heart, character, and memory. As you learn how to trigger those things, the more positive you’ll feel about yourself. You’ll learn how to turn things around and make the situation a lot better. Vini Yoga is considered an art of personal practice. It allows you to be more focused and aware of what goes on in your body so you’ll be able to easily recognize its needs. When you are able to meet your body’s needs, the more you’ll be able to avoid feeling depressed. Often referred to as laya yoga, Kundalini yoga is strongly influenced by Tantra and Shaktism schools of Hinduism. It relates to the awakening of the kundalini energy or the type of primal energy found at the spinal base. Its awakening leads to enlightenment and pure bliss. You can think of it as a way to establish a deeper connection between your spirit, body, and mind. The practice isn’t the easiest thing to accomplish. In reality, it can be challenging not just for your body but mind, too. For you to awaken your kundalini energy through this yoga type, you need to be able to break down the internal obstacles that are stopping you from experiencing complete relaxation and bliss. One of the best ways you can do that is to establish better self-awareness. Now, if you are feeling overwhelmed by the earlier choices or you’re new to yoga, then consider Hatha yoga. It’s great for beginners since it’ll help you learn and master proper breathing. With proper breathing, you’ll be able to relax, remain calm, and focus on your thoughts. You’ll be able to think straight and make better decisions. Take note that Hatha yoga can vary so it’s best if you take your first class in a proper studio. This way, you’ll be properly guided in doing your poses. Restorative yoga can help calm and soothe your anxious nerves. It’ll teach you to go slow and be mellow so you can achieve a deeper sense of relaxation. This yoga style isn’t that hard to do. In fact, it generally requires just 5 to 6 poses, like backbends and light twists. Those poses need to be held for about 5 minutes to allow you to completely calm down and relax. Doing Yin yoga on a daily basis should be able to help calm your mind, find your inner zen, and restore the balance in your life. Yoga isn’t just great for the body; it works really well for your mental health, too. It can teach you to relax, remain calm, and be focused so you can easily recognize the signs of anxiety and depression. As a result, you’ll be able to overcome them faster. Take note that yoga can’t create dramatic results in your life overnight. You need to be dedicated and committed to adding it into your daily routine so you can experience its maximum effects. Meera Watts is the founder and owner of Siddhi Yoga International. 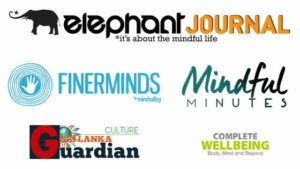 A yoga teacher, entrepreneur, and mom, her writing on yoga and holistic health has appeared in several popular sites, including Elephant Journal, CureJoy, FunTimesGuide, OMtimes and others. She runs intensive, residential trainings in India (Rishikesh, Goa, and Dharamshala) and Indonesia (Bali).